Miami Dice is a dice-based (no disappointments there, but just you wait) guessing game. The wagering options are decent, the payouts are mediocre and the overall game design is distinctly average. Even the graphics look like they fell out of the "boring tree" and hit every uninspiring dull-brown branch on the way. Fact: Miami Dice is a mix between the hi-lo, numbers and dice game categories with some neon lights thrown in for good measure. Strangely enough, Miami Dice is actually one of the more popular games at Ladbrokes Games. Lord knows why though; unless I’m missing some obscenely entertaining bonus feature (which I’m not). 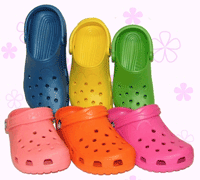 This is one of those occasions where popular does not = good, just like Crocs and Lava Lamps. All in all, Miami Dice simply pales in comparison to other dice games like Shut The Box or big hi-lo accumulators like Hi Lo Gambler. Miami Dice rating - 45%. The fun in any good fixed-odds guessing game stems from the tension and excitement as you anticipate the results of each wager. In Miami Dice, whether you win or lose often depends upon the total of 5 different dice rolls, which is not something you can easily tot-up on the fly. Now, unless you happen to be Carol Vorderman or generally enjoy adding small numbers together on a regular basis, you’re not going to feel much in the way of excitement when playing Miami Dice. Instead, you’re just going to sit there and hope for the best without giving much thought to the whole dice-rolling charade. Note: "Miami Dice" is s lot like Digit and Black & White, except there is the tiniest bit more variety when it comes to betting options in Miami Dice. The graphics are certainly worse though. You can marginally increase the entertainment factor by wagering on whether a certain dice number will be rolled multiple times, but that’s hardly a white-knuckle experience. Overall, as far as fun goes Miami Dice isn’t terrible, but it’s certainly not a riot. Wager on one of the three different betting options. Watch the dice roll and hope for the best. Collect your winnings or gamble them for a bigger win. There’s nothing in the way of strategy here at Miami Dice. Just make your guesses and hope that you get lucky. Miami Dice in more detail. 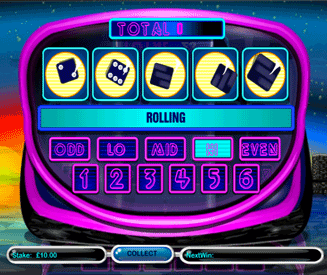 The main focus of Miami Dice is the 5 standard dice in the middle of the screen. 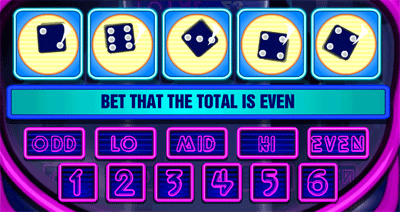 In every round of Miami Dice, the five dice will spin and land on any number between 1 and 6 (just like any good old dice, except these are digital). The total number of all five dice will then be calculated and any winning wagers will be paid. There are three main outcomes to wager on when playing Miami Dice online. Lo = Total is between 5 and 16. Mid = Total is 17 or 18. Hi = Total is between 19 and 30. Odd = Total is an odd number. Even = Total is an even number. Bet that a certain number (e.g. a 4) will be rolled one or more times. You can do this for any of the numbers between 1 and 6. Note: You cannot wager on more than one outcome in each game. Therefore, if you bet on the final number being odd, you can’t wager that it will be "hi" also. Payouts in Miami Dice vary depending on what you wager on. As usual, the less likely the outcome the bigger the payout will be. I’m just going to copy the ordered list from above and replace the betting option explanations with payout details. The only one that’s a little different to your average payout is the one where you bet on a certain number to be rolled more than once. The more times the number is rolled, the more you win. You’re not actually betting on a number to be rolled a specific number of times, just that it’s going to be rolled 1 or more times. That’s why you only get your money back if the number you have wagered on is only rolled once, which probably seemed a little unfair at first. Fact: This particular bet is similar to the one in Tower Power where you bet on the overall tallest tower. The more unlikely the final outcome the better. If you go in to the game options you can turn on the "turbo" feature. This will speed up the animation of the dice rolling. This is actually one of the few occasions where I’d actually prefer to speed up the gameplay. There is very little tension and excitement in the standard Miami Dice animation speed in the first place.